Double album gate fold, with thin plastic (mylar?) covering. Liner notes by Rita Negoshyn (dated Jan. 1965). 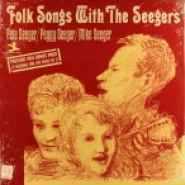 "Prestige Folk Bonus Pack (2 Albums for the Price of 1)" written on the front.